These days I favour a cool ashy blonde tone for my hair, so keeping any kind of brassy tones from creeping in is of high importance to me, unlike my DIY box colour home jobs of the mid to late 90s that featured more brass than a Tijuana band. 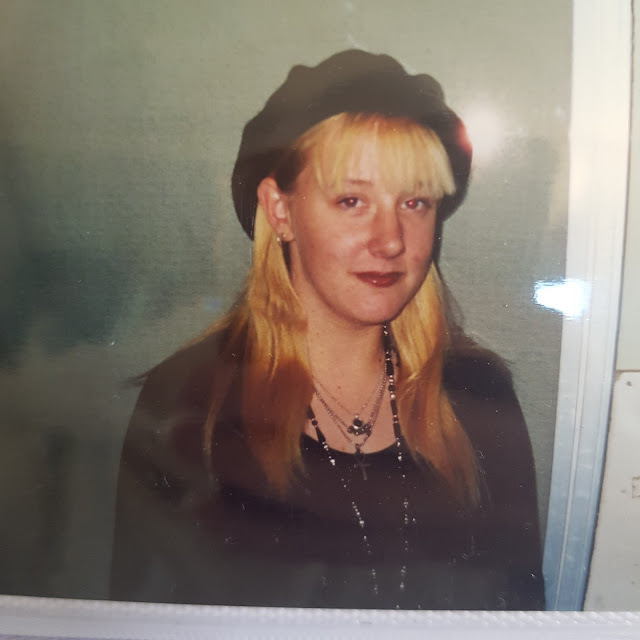 I repeat, it WAS the 90s, don't judge me. 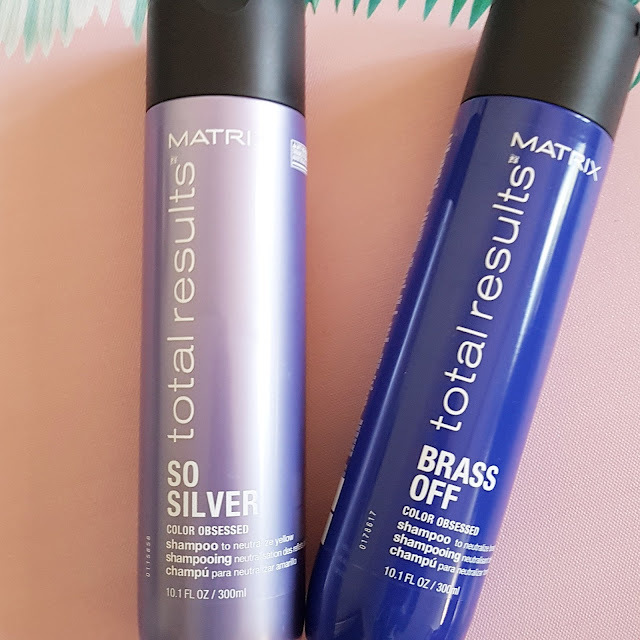 Matrix kindly sent me their Total Results Brass Off and Color Obsessed So Silver shampoos a while back and I was more than happy to put them to the test, having had a good experience with the Hello Blondie range a while back. Now while the Hello Blondie and similar blonde shampoos care and brighten, the violet toner varieties actually deposit pigments which build up over time to preserve that cool hue. 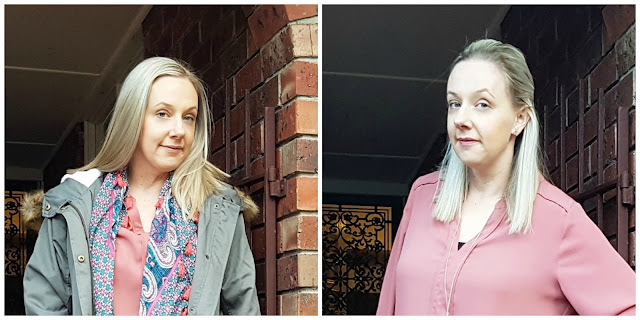 My colour regime is designed such that I don't require super frequent visits and having a good toning shampoo and conditioner is vital in keeping it looking cute between trips to see Mikala. As I mentioned when I trialled a different toning shampoo for blondes, I've been using the Fudge violet toning shampoo and conditioner for quite a while and am happy with it but it's always good to switch it up occasionally and the Matrix product didn't disappoint. Previously known as Color Care So Silver, the shampoo is a rich dark iridescent violet designed to neutralise that undesirable brassy warmth and eliminate dull, yellowy tones because what's cooler than being cool? (ICE COLD). It works to illuminate highlights on blondes AND as a special bonus, adds brightness to grey and white hair which may be of interest to you. I used the shampoo for a full six weeks to put it to the total test. Can you see how it's a lot cooler on the right? It definitely does the job so I'll continue to use it and mix it up along with the Fudge product. 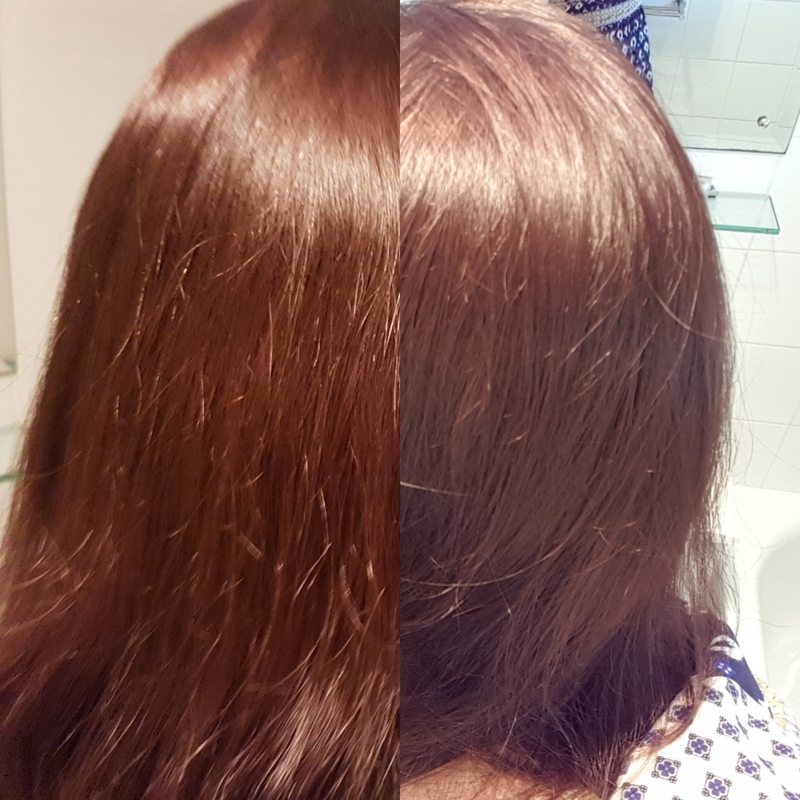 The Total Results Brass Off Shampoo does the same but is designed for brunettes who lighten or highlight their hair, especially if it throws more copper than Live circa 1994. I passed this on to my brunette friend Stacie with instructions to report back and include a selfie, which she did. I wish I thought of doing this photo comparison with mine but her husband is 6 foot 5 and mine is not. Are you in the market for a toning shampoo? You can pick up these at RY.com.au for around $14 each. 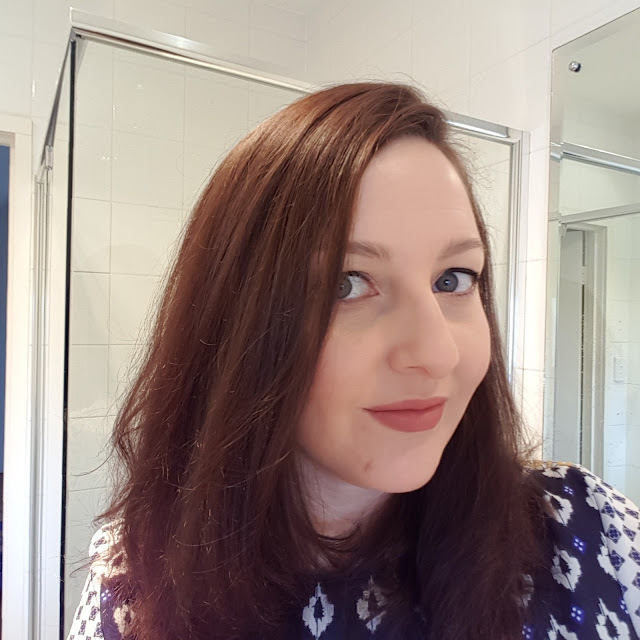 Products kindly gifted by MATRIX AUSTRALIA for review. Opinions, weaves and images are mine and Stacie's. For more information, please see my PR & Media policy.